Marco Reus' last Bundesliga apperance was on the final Matchday of the 2016/17 season. 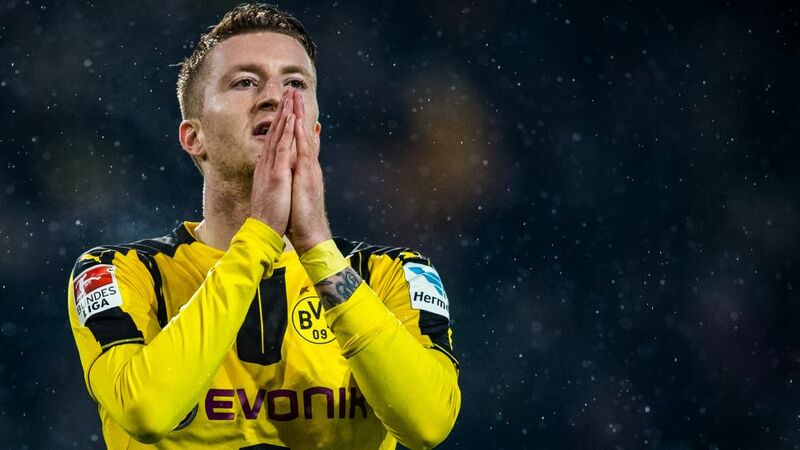 Borussia Dortmund star Marco Reus’ career has been plagued by injury and following his knee ligament rupture in May, the German says he would give up his earnings to be back to not even his best, just healthy. "As top players, we earn a lot of money, but sometimes we pay a hefty price with our health,” said Reus in an interview with GQ magazine. “I would give away all the money to be healthy again, to be able to do my job. To do what I love: to play football." Watch: Marco Reus' top five goals of 2016/17! The 28-year-old won his first career title last season, but not in any way he had dreamed about it. Clinching the DFB Cup with a win over Eintracht Frankfurt in the final in May, Reus was substituted at half-time with what was later diagnosed as a ruptured cruciate ligament. The German international was diagnosed the morning after the final victory, just hours before he celebrated the cup win with his teammates and the Dortmund fans. "The tears came again two or three days later when I went through it again in my mind," Reus said about the knee injury he sustained in the cup victory over Frankfurt in May. The fuel to Reus' fire: Andrey Yarmolenko (l.), Maximilian Philipp (c.) and Christian Pulisic (r.) have been outstanding so far this season. Reus has been stepping up his recovery in recent weeks, and could be seen with a bright smile on his face while training with Raphael Guerreiro, with the Portugal international also ruled out for the time being. But Reus does not want to rush himself back to playing, instead of waiting until his body tells him it is time, rather than his mind. “I don’t want to set a date right now,” Reus said on his potential date of return. “I will be back on the pitch again when my body tells me that it’s ready. After seeing the summer acquisitions of Maximilian Philipp and Andrey Yarmolenko hit the ground running so superbly so far this season, as well as the continued development of Christian Pulisic, Reus is faced with strong competition when he does return. That competition, though, will only add fuel to an already deep burning fire inside the Dortmund fan and star, who in the end, just wants to play football.